Pala International is pleased to have been selected by J. Richard Harris to offer The Harris Collection, a 173-stone collection assembled during twelve years. Pala offers the first two groups out of the recently acquired collection. 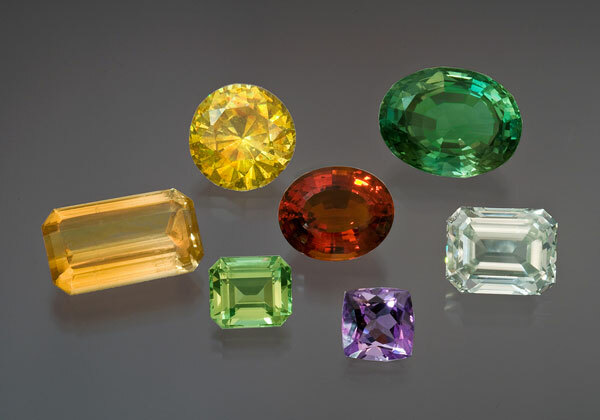 From diamond, ruby, emerald, and sapphire, to brazilianite, diopside, and wulfenite, Harris amassed a collection fit for the connoisseur of precious stones and the inquisitive collector. See a list of the first two groups here. I was born and raised in Texas, which is rich in oil and gas but poor in gems and minerals. That’s the main reason I became a petroleum geologist and not a mining engineer. With the exception of gem-quality blue topaz that occurs in the Llano Uplift country to the northwest of Austin—it’s the state gemstone—gem and mineral exploration in Texas is a disappointing business. Oil and gas exploration is not. In my work, I have had the opportunity to do jobs in about 85 countries over the past 50 years. During those trips, I routinely came across marvelous specimens of gems and minerals and, on July 9, 1971, I acquired my first faceted specimen—a 35.60-carat smoky cairngorm from Brazil for $17.50. I was hooked. As a young geologist, I recognized the natural progression from petrology to mineralogy to crystallography and, finally, to gemology. Happily, it was a progression that mirrored my rising income over the years, and I continued to acquire gem and mineral specimens in Canada, where I now live, and during my international travel. On May 24, 1983, I acquired the last gemstone in The Harris Gemstone Collection, a beautiful 17.32-carat yellow sphalerite from Spain for $606. Since 1983, and coincident with my increasingly busy oil and gas work, I have neither bought nor sold any of the specimens that I acquired in the 1971–1983 period, a period that predates much of the controversy today over undisclosed gemstone treatments. I stopped collecting—but I continued to study the stones in a small but well-equipped laboratory in my home. They did not sit idly by. The 173 stones in The Harris Collection (originally 175 stones, but two jadeites could not be imported into the U.S. due to the new Burmese regulations) were not assembled with the intent to create a fashionable collection that one would display in public or ultimately donate to a museum. 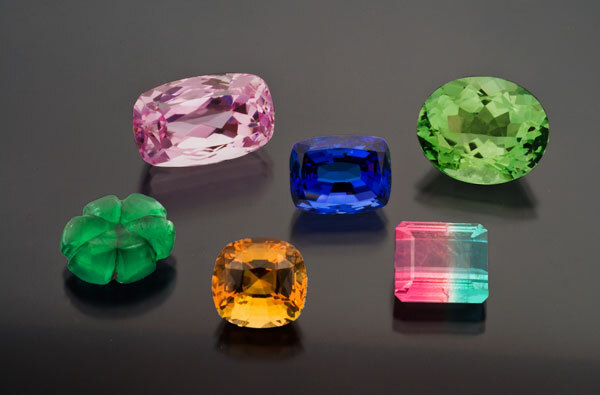 The eclectic stones in the collection run from benitoite up to alexandrite, chrysoberyl cat’s eye, and black opal, through yellow and brown diamonds, into tourmalines, sapphires, spinels, and ruby, and down to desert glass, axinite, and chloromelanite. The unusual, even bizarre, variety of gemstones was acquired to satisfy my life-long geological interest in all types of gems and minerals. It’s a collection for active study; not so much for static observation. Since I am retiring, I have asked Bill Larson at Pala International to dispose of The Harris Collection. I hope he finds a good home for 173 lovely stones—some of which have been in my family for almost 40 years!